The Cloyne Report has found that former Bishop John Magee falsely told the Government and the HSE that the Catholic Diocese was reporting all allegations of clerical child sexual abuse to the civil authorities. It also found the Bishop deliberately misled another inquiry and his own advisors by creating two different accounts of a meeting with a priest-suspect, one for the Vatican and the other for diocesan files. Bishop Magee, whose resignation was accepted by the Vatican last March, is criticised for his handling of allegations. The report was initially submitted to Government last December, but legal complexities meant it was not approved for publication by Cabinet until today. Running to 400 pages and detailing findings on 19 priests who faced abuse allegations over a 13-year period, the report deals with how the Cloyne Diocese handled abuse allegations as recently as 2009. 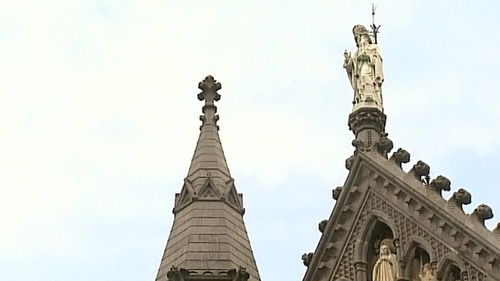 The report criticised Bishop Magee for showing little or no interest in the management of clerical child sexual abuse until just three years ago. In the opening pages, the report claims that the Bishop had 'detached himself' from the management of child sexual abuse cases. It declares that his response was 'totally inadequate'. The Commission states that the greatest failure by the diocese was its failure to report all cases to gardaí. In one case, the Cloyne second-in-command, Monsignor Denis O'Callaghan, withheld the identity of a perpetrator from the authorities and attempted to have a particular garda officer investigate it. The Garda Superintendent was found to have correctly disregarded the request. Between 1996 - when the Irish bishops introduced guidelines for mandatory reporting - and 2005, the diocese failed to report nine out of 15 complaints against priests, which 'very clearly should have been reported'. The report notes 'the most serious lapse was the failure to report two cases in which the alleged victims were minors at the time of the complaint'. The Commission of Inquiry has also raised concern that there is no evidence of a garda investigation into two allegations of abuse against one priest. The report draws attention to one case where despite garda assurances, the Commission can find no evidence of garda investigations into allegations by two women against a single priest. The Commission states it is concerned and it does not accept there was a proper investigation into the complaints against the priest named as 'Fr Corin'. The report also details how an allegation against Bishop Magee himself in 2008 was dealt with. The Bishop allegedly embraced the 17-year-old youth and kissed him on the forehead. The behaviour was deemed inappropriate but not reportable. This afternoon, Minister for Justice Alan Shatter published the heads of a Bill to make it a criminal offence for anyone not to pass information on to gardaí about the possible sexual abuse of a child. Mr Shatter said the Cloyne diocese did not record information on complaints of sexual abuse and it was truly scandalous that people who presented a public face of concern continued with private concealment. Speaking at a Government press conference, Mr Shatter said the Garda Commissioner had appointed an officer to examine the report and see if further action be taken against abusers in the report. The report is to be sent to the Garda Síochána Ombudsman Commission to see if further action is warranted over garda behaviour in some instances. The Health Service Executive will operate a confidential freephone helpdesk for people who have suffered sexual abuse anywhere at the hands of clergy. The initiative coincides with the publication of the Cloyne Report. The helpdesk, which can be contacted on 1800-742800 from 8am until midnight, opened at 3pm. It will work in collaboration with eight counselling and advocacy agencies to ensure that people who make contact with the helpdesk can access a service appropriate to their needs.